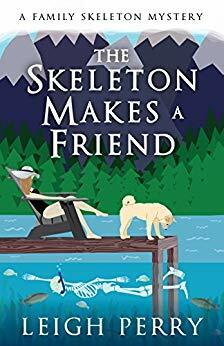 Synopsis: Georgia Thackery is feeling pretty good about her summer job teaching at prestigious Overfeld College, and she’s renting a rustic cabin right by a lake for herself, her daughter, Madison, and her best friend, Sid the Skeleton. Together again, the trio are enjoying the quiet when a teenager named Jen shows up looking for her friend. Georgia doesn’t recognize the name, but she learns that the person Jen was looking for is actually Sid. Wreath Between the Lines by Daryl Wood Gerber – Recipe / Guest Post & Giveaway! 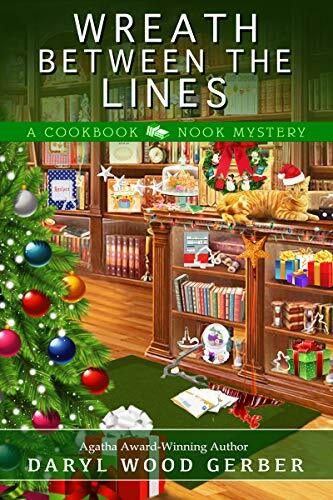 The Agatha Award–winning author of Pressing the Issue returns to the Cookbook Nook, where Jenna Hart is busy decking the halls and ducking a killer . . . The holidays are Jenna Hart’s favorite time of year, but just as she’s decorating the Cookbook Nook for all the festive events, her imperious older sister makes a surprise visit, anxious that her husband’s been more naughty than nice. 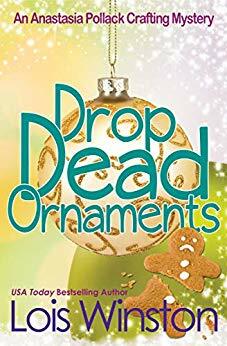 To make matters worse, her father’s good friend Jake shows up on her doorstep with a frantic report that his friend has been murdered—trussed with Christmas lights and impaled with a tree star. Worried that Jake was the intended victim, Jenna makes a list of suspects and checks it twice. 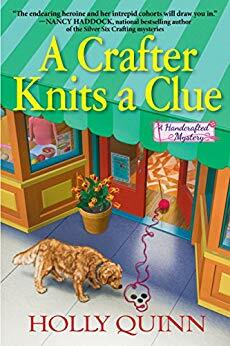 Swapping her Santa’s hat for a sleuthing cap, she gets busy investigating Jake’s long-lost sister, his Grinch of a neighbor, and a stamp collector who covets Jake’s most treasured piece. When Jake himself is poisoned and nearly dies, Jenna knows she’ll have to do whatever it takes to corner the culprit before it’s lights out for Jake . . .
Synopsis: Rural Pennsylvania’s Vance Township Police Chief Pete Adams is down an officer and has been dealing with extra shifts as well as a pair of bickering neighbors, one of whom owns a machete and isn’t afraid to use it. Golden Oaks Assisted Living is outside Pete’s jurisdiction, but a murder in the facility his Alzheimer’s-afflicted father calls home makes the case personal. Paramedic and Deputy Coroner Zoe Chambers has been itching for an opportunity to take the lead in a death investigation. 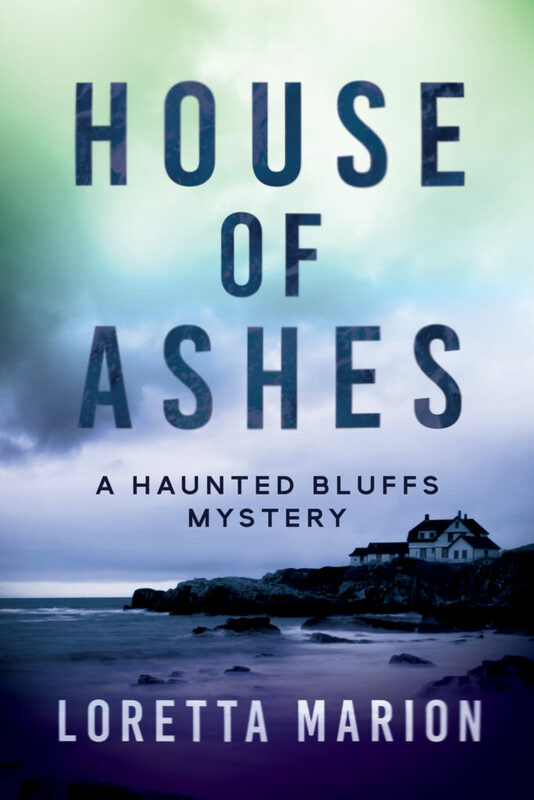 She gets her chance when her boss is hospitalized and not only assigns her to the Golden Oaks homicide but puts her in charge of the county coroner’s office. 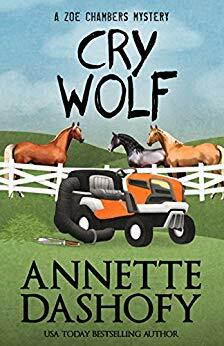 As if she doesn’t have enough to handle, a long-lost, over-protective, older half-brother walks into her life threatening to drive a wedge between her and the man she loves. A second dead body leads them to realize the case may have dark ties to a distant past…and if Zoe doesn’t untangle the web of lies, Pete will be the one to pay the ultimate price. Killer songs and a killer voice, but a killer at her gig? 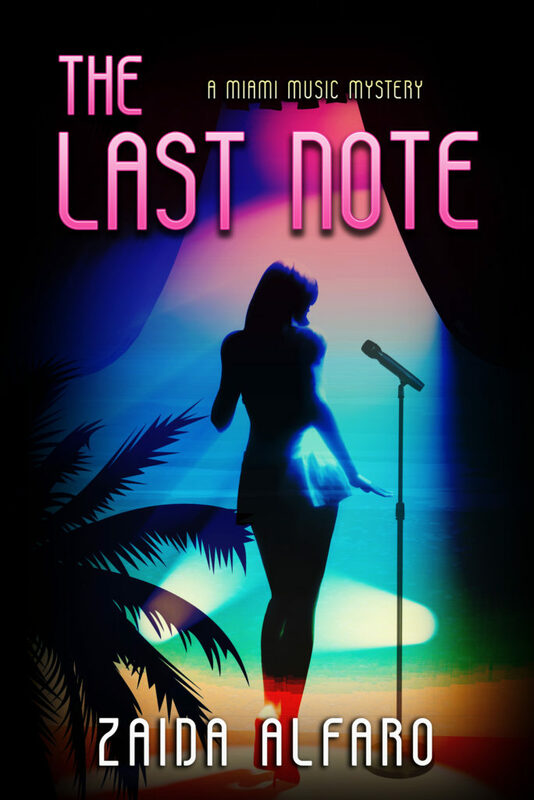 Vy has always found herself at the center of attention as the lead singer for one of Miami’s top cover bands, but when she finds herself at the center of a murder investigation, while performing at the Steel Horse Bar, that changes the tune of the night. Someone believes that Vy knows the truth behind the murder of the bar owner Ricky, and now that person is after her. Vy better figure out quickly who wanted Ricky dead, who is threatening her with her favorite band’s song lyrics, and why she’s falling for the handsome Detective Houston, before she too sings her last note. With a mixture of mystery, mayhem and comedy, you will find yourself immersed in Vy’s musical and murderous world. The Last Note’s main backdrop, the amazing city of Miami, Florida, is beloved and well-known to me. 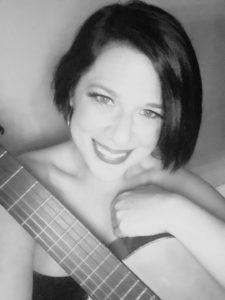 I was born and raised in Miami, and like the novel’s main character Vy, I am a singer/songwriter, as well as the lead singer to a self-proclaimed cover band. All things relating to music or literature are my passion. I keep a journal, and I am constantly writing poems, stories, and any thought that comes to mind. I have a fascination for black and white films, that have the element of mystery. As I have been told by many, I have a very creative imagination.